The following projects are underway to improve current qualifications, skill sets and units of competency. The Government allocates projects to Industry Reference Committees (IRCs), based on advice in the annual IRC Skills Forecasts. On behalf of the IRCs, Skills Impact manages the projects. Projects are established only when a Case For Change has been approved by the Australian Industry Skills Committee (AISC), as outlined in the National Schedule. The project then goes through a process that adheres to the 2012 Standards for Training Package Development. Click on a project below to find out more and to register your interest to receive updates. 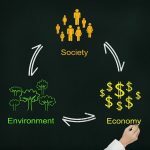 Australia’s transition toward a more environmentally sustainable society is being driven by political, economic, social and environmental imperatives. The transition brings challenges for the vocational education and training system to ensure the workforce is equipped with the skills required for new, and more sustainable, ways of working. 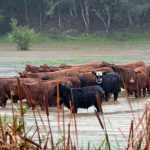 Agribusiness qualifications, carbon farming skill sets and related units of competency are being reviewed and developed so that all job functions are accurately described, with appropriate current knowledge and skill needs. 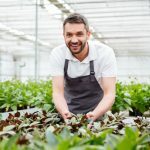 Qualifications and units of competency are being reviewed and developed to address the skills and knowledge requirements for protected horticulture activities and irrigation technologies. The Diploma of Viticulture and related units of competency will be reviewed to meet industry expectations for skills in leadership and management in vineyard operations. Once a project has been finalised, the revised qualifications, skill sets and units are published on training.gov.au and available for delivery by registered training organisations. 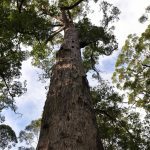 Existing arboriculture qualifications and units of competency are being reviewed and updated to reflect current industry practice, remove significant and unnecessary barriers to training and assessment, and satisfy the Standards for Training Packages 2012. 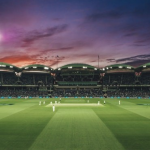 Existing sports turf management qualifications and units of competency are being reviewed as part of new project that aims to bring them up to date with current industry practices, technologies, equipment and advances in turf agronomy. This project will identify and fill gaps in current qualifications, skill sets and units of competency to provide workers with high level skills to respond to incidents involving animals and large groups of animals, including skills in animal first aid. This project will review existing qualifications and units of competency for animal technology. 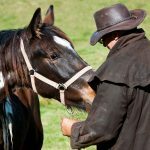 This project will identify and fill gaps in current qualifications, skill sets and units of competency to address skill needs for educating horses. Skills around horse branding and identification, and horse transport are also being reviewed and documented. Veterinary nursing units of competency and qualifications are being reviewed to ensure they reflect the current occupational skill standards and needs of industry. 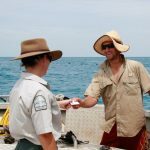 Working concurrently with the Seafood Post Harvest Project, 12 qualifications, 13 skill sets and approximately 104 units of competency are being reviewed so that all job functions are accurately described, with appropriate current knowledge and skill needs. A focus of this project will be to incorporate skills to address changes in technology, legislative and regulatory requirements and environmental sustainability and management. 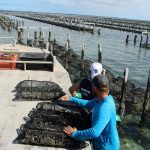 Working concurrently with the Aquaculture, Fishing Operations & Biosecurity Project, 8 qualifications, 1 skill set and approximately 49 units of competency are being reviewed so that all job functions are accurately described, with appropriate current knowledge and skill needs. A focus of this project will be to incorporate skills to address changes in distribution, processing, storage, fishing and environmental management. 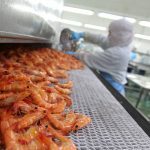 Fisheries compliance qualifications and units of competency are being reviewed to address the growing compliance requirements in the seafood industry. Advancements in technology and environmental sustainability and management will also be considered. 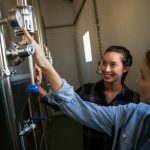 This project will identify and fill gaps in current qualifications, skill sets and units of competency to address food safety and manufacturing processes in the growing artisanal cheesemaking, brewing and distilling, and, food and beverage fermentation markets. 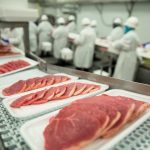 This project will review and develop units of competency and skill sets within the AMP Australian Meat Processing Training Package to address skills gaps across eight different areas. 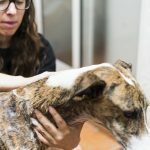 This project will explore and identify the skills and knowledge requirements for providers administering complementary therapy practices to greyhounds, such as massage and first-aid. 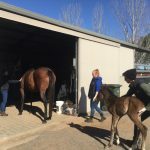 This project will look at the knowledge and skills that are essential to breed racehorses in line with specific Australian breeding requirements, taking into consideration foaling down, nutrition, development of the foal, knowledge of pedigrees, business management and relevant rules and regulations. 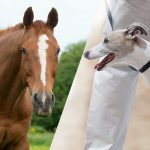 This project will look at the skills required to assess, re-train and re-home horses and greyhounds after their racing careers have finished, and to incorporate these skills into qualifications, skill sets and units for the racing industry. 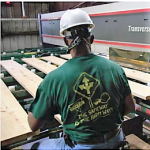 This project will assess the current skills requirements for wood machinists and sawdoctors as a result of technological developments and a business imperative to operate in a competitive environment. This project will result in revised woodmachining and sawdoctoring qualifications. 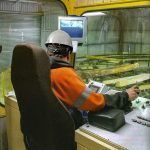 New and improved units of competency are being identified to address skills requirements for optimisation of timber and material flow within sawmills.